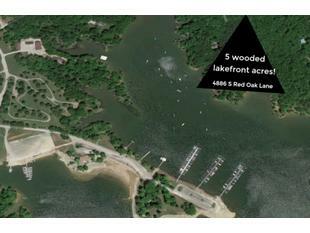 Priced below assessed value these are 5 acres of stunning wooded beauty on beautiful Lake Monroe are a gorgeous building site for your dream lakefront home! . Electric and city water available , numerous nearby docks available and only minutes from Bloomington.